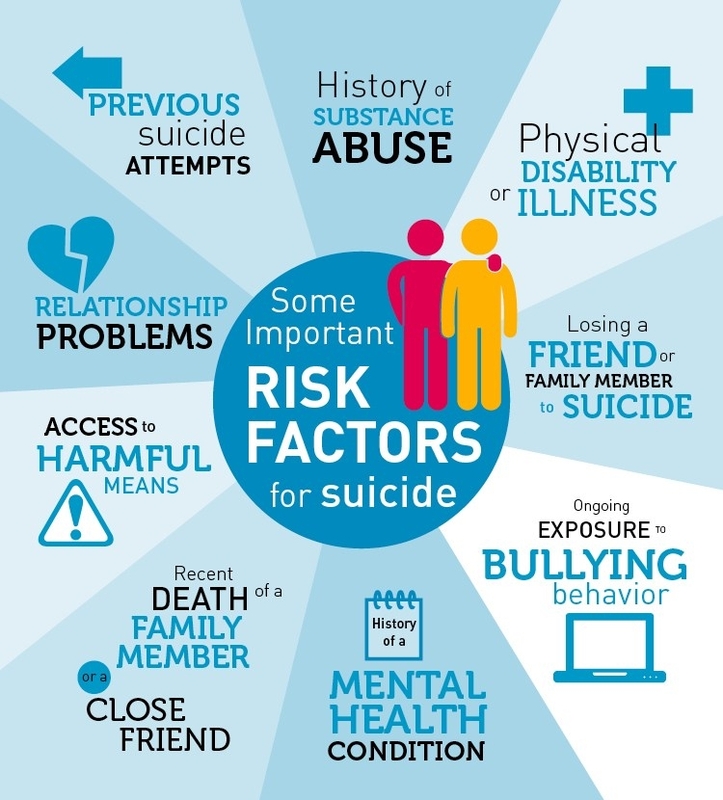 Characteristics of a person or their environment that make it more likely that individuals will consider, attempt, or die by suicide. These signs may mean someone is at risk for suicide. The risk is greater if a behavior is new or has increased and if it seems related to a painful event, loss, or change.